Kiera's birthday is tomorrow. 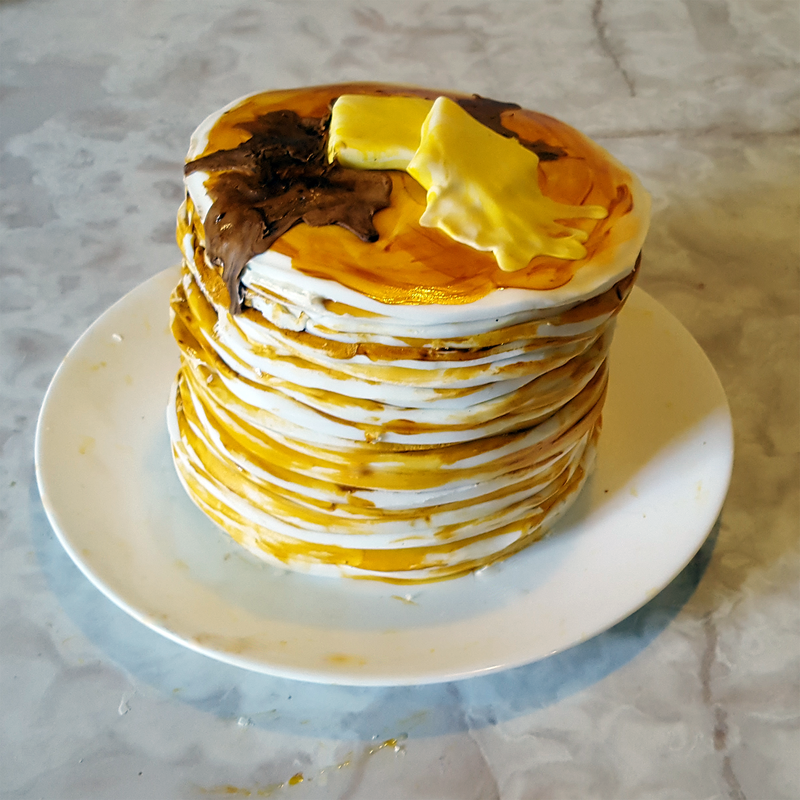 She requested a cake that looked like a stack of pancakes. My cake-decorating kills are fairly mediocre, so I'm really happy with how it turned out.